Is Egypt unsettling Micho to foil Cranes World Cup campaign? 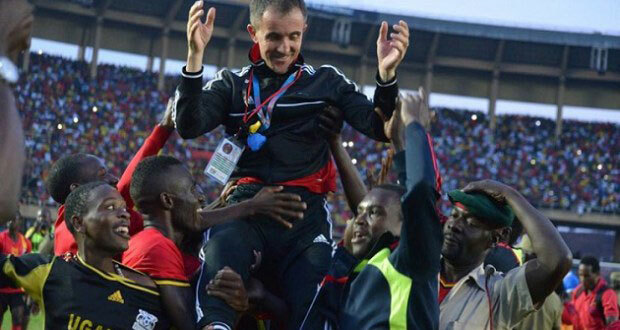 Micho is serenaded by Cranes players after Uganda qualified for Afcon last year. 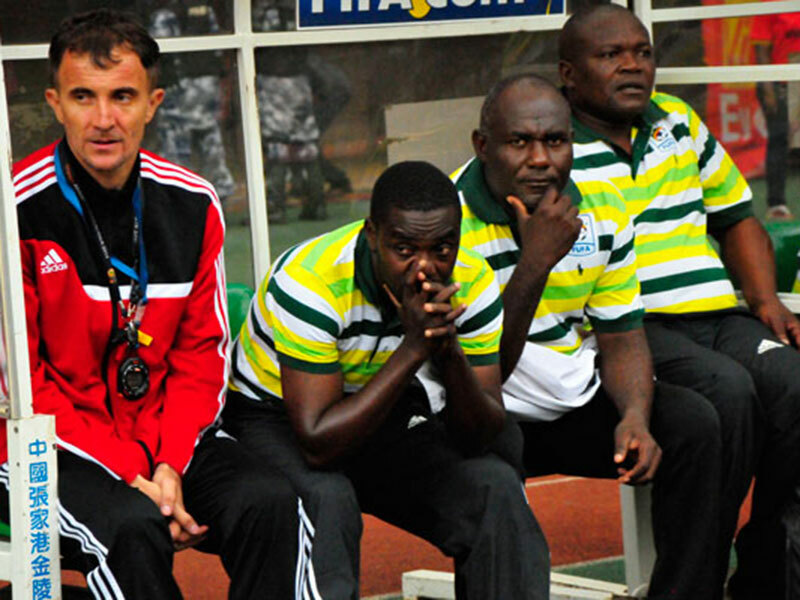 FOOTBALL — Uganda Cranes coach Milutin ‘Micho’ Sredojevic can be a ball of enigma when he chooses to. And this latest brouhaha surrounding the Serbian is even more baffling: Micho is expected to put to bed speculation over his future with the national team on Monday in a meeting with Fufa. The media has been awash with reports that the Serbian tactician had resigned, even when he has publicly stated otherwise—using his social media accounts. Some journalists have claimed to have spoken to Micho and that the coach had indicated he was calling time on his dugout duties with Uganda Cranes. Micho has rubbished the rumours, saying Uganda is a “master place of creating rumours,” and insisting that his position on the matter would be known by Monday. Even amid the rumours, the coach was astute enough to make South Sudan look like a shadow in a sparring match. He could even afford to flaunt his tactical nous by giving Paul Mucureezi the opportunity to peel the layers off his feet for the country to behold. Micho is good. And taking Cranes to Afcon in January was no fluke. 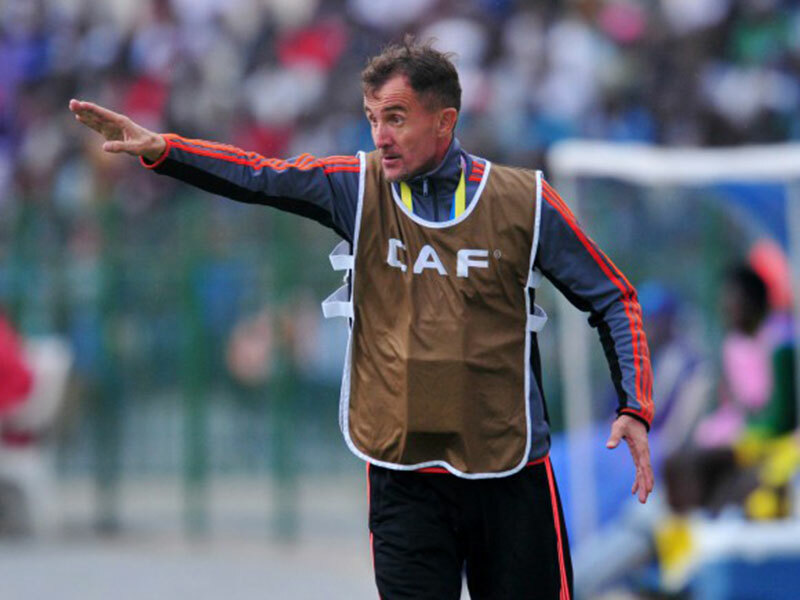 Micho gives instructions from the technical area. But whether the rumours around his resignation are true or not will not matter. Whether the coach has indeed intimated his decisions to some journalists will also account for little. The big question now should be: why? But first, Fufa’s position remains clear: Micho has not communicated anything to his employers on the rumours. Not officially, not in any way. Fufa president Moses Magogo will hold a technical meeting with the national team coach. The federation says Magogo, who arrived in the country from Morocco where he was attending a series of Caf events, will demand an official position on Monday in the meeting, after which Fufa will communicate Micho’s position to the country. Which returns us to the big question: Why? Why is Micho suddenly unsettled at a time when Uganda Cranes were becoming such a formidable force? Why now when Uganda Cranes have their sight on Fifa World Cup 2018 finals in Moscow? Micho is a candid man with a good sense of humour. His deadpans on Twitter can be as entertaining as they are bemusing to Fufa. So why the latest ping pong? At Camp Nou in Spain, Barcelona’s Brazilian forward Neymar is the latest subject of interest after French giants PSG tabled an audacious bid to trigger his release clause. Whether Neymar and his father are serious about the transfer to Paris remains to be known, but rumours that they could just be after a bigger pay cheque from the Catalan side cannot be rubbished either. And so is Micho, who is said to be after pay cheques. There are also rumours that the Serbian is claiming salary areas and using the rumours on his future to get Fufa out of their hiding and sort him out. This latter style wouldn’t be a first from Micho. If anything, it is his trademark of sorts, and Magogo, who once tweeted that Micho did not know how to handle success, would be best positioned to deal with this. Remember when the nation thought Micho was all but gone after some not-so-palatable exchanges with Magogo? Apparently, the Fufa boss handled the matter and Micho lived to continue his good form with Cranes. But there are underlying reasons and forces that football minds in the country cannot take for granted. Look no further than Cranes World Cup qualification campaign where they are currently finely poised in Group E alongside African Cup of Nations record winners Egypt and Ghana and Republic of Congo as the only bridesmaid in the group. But there is a double-header up next and the Pharaohs are feeling jittery over the chances of Cranes under Micho. August 31 is so far away, yet so close for the Egyptians. Uganda Cranes are unfazed at Namboole. But the Egyptians cannot take anything for granted. Already, their ‘spies’ have touched base in Kampala as advance party with a strict assignment: Digging up every information available on Uganda football that can be used in the double header to ensure Egypt do not drop points. That is their assignment. Win in Kampala and Egypt will virtually have put a leg in Russia ahead of the match in Port Alexandria six days later. That August 31 match in Kampala will be at Mandela National Stadium, Namboole, at 4pm local time. Only Togo has the magic to unlocking Cranes at the stadium, but the Egyptians are not leaving anything to chance: their advance party has already reported that Namboole is in shambles. To this end, Egyptian FA is seeking a way to have Namboole’s ‘potato pitch’ worked on so that their players, who are used to better playing turfs in Europe or in better managed facilities at home and in other countries, will not feel the bump. Egypt intends to get Namboole stadium managers to agree a deal where the North Africans fund the refurbishment of the pitch ahead of August 31. But the current Cranes set up is not an equation of good turf. Egypt know what it was like and they need not look further than when the two sides locked horns in Port Gentil. The Absa Premier League side have reportedly thrown cheques worth $50,000 in monthly emolument at Micho. That is at least five times what the Serbian earns in Kampala. Fufa can’t match that even if they wanted to. With the Egyptian hell-bent on leaving nothing to chance, it would be understandable if some Ugandans got paranoid and faulted them for playing with third parties to price Micho away.